In a previous article we discussed CO2 concentrated marijuana. This time we’ll discuss how to make rosin! This is another way to extract cannabis oil. Science has always been a great way to bring others together. At the very least you will have something to show your friends & family over the holiday season before going back into a serious work mode. 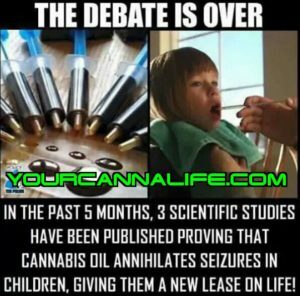 Cannabis in 2017 will be revolutionary! Dabbing enthusiasts everywhere, rejoice! Rosin is here, and it’s making some big waves in the extract community. This emerging solventless extraction technique allows anybody to make their own high quality hash oil from the comfort of their home. The best part about rosin is that it can be made safely and inexpensively in just minutes by using ordinary household tools. This method utilizes heat and pressure to squeeze the cannabinoid-rich resin from your flowers, bubble hash, or kief. Your average hair straightener, some parchment paper, and a collection tool are all you need to produce a hash oil that rivals hydrocarbon extraction methods in flavor, potency, and effect. Aesthetically, rosin is almost impossible to distinguish from shatter or sap. However, the difference between the two is that rosin is completely free of the residual solvents often left behind by hydrocarbon extraction processes (e.g. butane, propane, etc.). You can also make rosin at home in minutes without the dangers associated with using butane. Rosin is certainly making an impact in the cannabis market. Dispensaries all over the country are beginning to stock their shelves with this easily crafted, incredibly potent, and flavorful product. Let’s make some! Please exercise caution when handling the hair straightener and use heat-resistant gloves as an added safety measure — we don’t want you to burn yourself! STEP 1: Turn on your hair straightener to the lowest setting (280-330F) and cut yourself a small 4×4” piece of parchment paper. Now fold it in half and place your material in between the folded parchment paper before giving it a light preliminary finger press. STEP 2: Carefully line the buds inside of the paper together with your hair straightener and apply a very firm pressure for about 3-7 seconds. You will want to hear a sizzle before you remove the pressures — it indicates that the resin has melted from the plant material. STEP 3: Remove your sample from the hot surface and unfold the parchment paper. Now pluck the flattened nug away and grab your collection tool. This is a very sticky process so be patient and careful. For larger batches, use different clean sheets of parchment and collect your samples together at the end. (OPTIONAL) STEP 4: Remove any visible plant material if you wish. Fold the finished product between the parchment and flatten it to your preference. Then use a clean tool to pick out any plant particulates. You may place the substance on a cold surface for a few seconds if you desire a more stable material to work with. Now load a nice fat dab of your fresh new rosin and celebrate! You just became an extract artist!